June 30, 2004, in the Industrial College No.4, Mitsubishi Electric Corporation Overseas Marketing Group and we held the presentation ceremony. As for the guests, including principal, vice principal and dean of this college, every related person participated in the ceremony and had a really useful time together. Industrial college No.4 is one of the biggest vocation and technical education centers in Viet Nam. The college has over 500 well-qualified teachers, and has lectures by specialist from other institutions. The college can annually offer multi-professional training services for tens of thousands students nationwide. We are looking forward to fostering professionals in Viet Nam FA field and seeing great progress in Vet Nam industry. 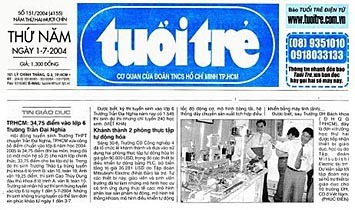 This ceremony was widely introduced to people in Viet Nam by the local TV program and newspaper. SETSUYO ASTEC VIET NAM OFFFICE. Promoting electronic devices, especially semiconductor, in Taiwan market, we successfully deal "Mitsubishi" and "Renesas" (a joint venture company of Mitsubishi and Hitachi) semiconductor with over 100 customers, which includes many of major companies in Taiwan and we also carry on both importing and exporting the other electronic products to fulfill various customerse satisfaction. 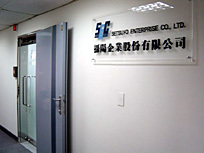 Last year (in 2003) we celebrated 30th anniversary of SETSUYO ENTERPRISE, and responding to progressive trend of current business, we Electronic Devision just transferred our office to Taipei city in April 2004, and with refreshed mind, we are putting our best effort to expand our sales of electronics devices. Besides, using our overseas network, we would like to promote further sales activities and to try our best to take great advance not only in Taiwan but also in Asian markets as well.Your continuous support will be appreciated. Thank you very much! !